Latest job openings at MKOBO Microfinance Bank, a fully licensed Microfinance bank by the Central Bank of Nigeria (CBN) in Lagos, Nigeria. 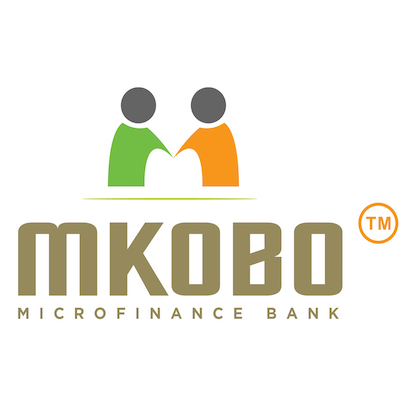 See the requirements and procedure to apply for MKOBO Microfinance Bank jobs online. This role will report to the Risk and Compliance Manager and will be responsible for recovery of overdue payments from customers. The successful candidate will also be working with the credit department to assess credit applications to identify suitability. Minimum of Degree in Finance, Accounting, Economics, Business Administration, Statistics, etc. from a reputable University. Minimum of 2 years working experience in retail credit, risk and recovery. Problem Solving, Critical reasoning, detail oriented. The Business Development Manager is responsible for securing new revenue within MKOBO’s existing portfolio of Business Partners and also seek out new Business Partners. The role is expected to have a focus on strategizing, prospecting, identifying and signing up of new Business Partners. The role ensures an excellent client experience at all times and works in collaboration with the Operations team to ensure smooth transition of new Business Partners into MKOBO. Minimum of Degree in Marketing, Business Administration, Finance, Communication from a reputable University. Financial services or technology company experience will be beneficial. The primary focus of this role is to maximise revenue for MKOBO by proactively building a portfolio of quality risk asset and liabilities, actively promoting and marketing MKOBO’s products and services while also ensuring the products are appropriately positioned and priced to be competitive. How to Apply for MKOBO Microfinance Bank Jobs. Apply for the post of Credit & Recovery Officer at MKOBO Microfinance Bank. Interested and qualified candidates should send their Applications to: silver_peace89@yahoo.com with “Credit & Recovery Officer” as subject. Note: If you’re not contacted within two (2) weeks from the deadline of this application, your application was not successful. Apply for the post of Business Development Manager at MKOBO Microfinance Bank. Interested and qualified candidates should send their Applications to: silver_peace89@yahoo.com with “Business Development Manager” as the subject of the email. Note: If you’re not contacted 2 weeks after the deadline of this application, your application was not shortlisted. Apply for the post of Marketing Associate at MKOBO Microfinance Bank. Interested and qualified candidates should send their Applications to: silver_peace89@yahoo.com with “Marketing Associate” as the subject of the email. Note: If you’re not contacted after 2weeks after the deadline of this application, your application was not shortlisted. MKOBO is a fully licensed Microfinance bank by the Central Bank of Nigeria (CBN) in Lagos, Nigeria. MKOBO was conceived to help solve consumers’ need for access to short-term emergency credit. Our goal is to provide access to short term unsecured loans, which is easily accessible. We cater to the demography currently underserved by the Commercial banks in our aim to help increase financial inclusion of the Nigerian population.